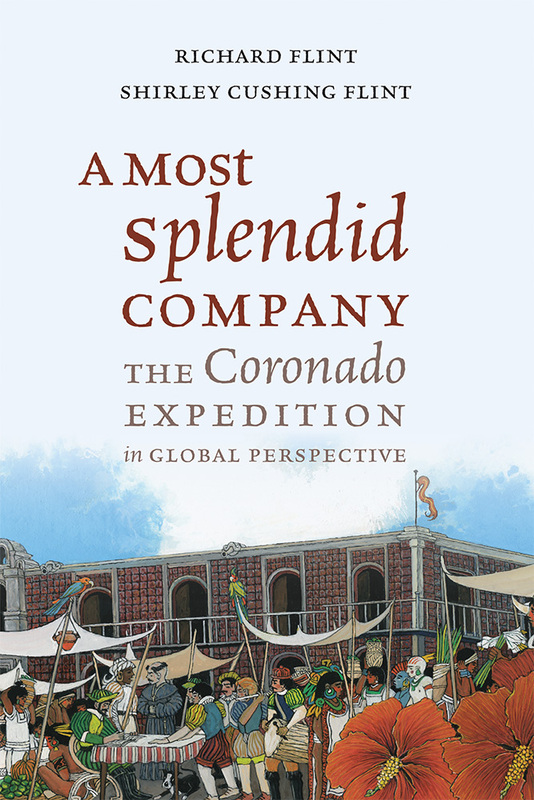 This magisterial volume unveils Richard and Shirley Flint’s deep research into the Latin American and Spanish archives in an effort to track down the history of the participants who came north with the Coronado Expedition in 1540. Through their investigation into thousands of baptismal records, proofs of service, letters, journals, and other primary materials, they provide social and cultural documentation on the backgrounds of hundreds of the individuals who embarked on the Coronado expedition. The resulting data reveal patterns that shed decisive new light on the core reasons behind the Coronado expedition to Tierra Nueva, revealing, most importantly, that the expedition to Tierra Nueva was part of a complex plan to finally complete the Columbian project—that is, to locate a direct, westward route from Spain to the Asian sources of silks, porcelains, spices, and dyes. Along the way the Flints show us, in far greater detail than ever before, the individuals who made up the expedition—members of the upper echelons of Spanish society to thousands of Nahuatl-speaking Natives of Nueva España and largely anonymous slaves, servants, and women who made the enterprise possible and kept it running, with a course set for Asia by land. Richard Flint is the author of No Settlement, No Conquest: A History of the Coronado Entrada (UNM Press) and the coeditor of The Latest Word from 1540: People, Places, and Portrayals of the Coronado Expedition (UNM Press) and The Coronado Expedition: From the Distance of 460 Years (UNM Press). Shirley Cushing Flint is the author of No Mere Shadows: Faces of Widowhood in Early Colonial Mexico (UNM Press) and the coeditor of The Latest Word from 1540: People, Places, and Portrayals of the Coronado Expedition (UNM Press) and The Coronado Expedition: From the Distance of 460 Years (UNM Press). 102 W San Francisco St.